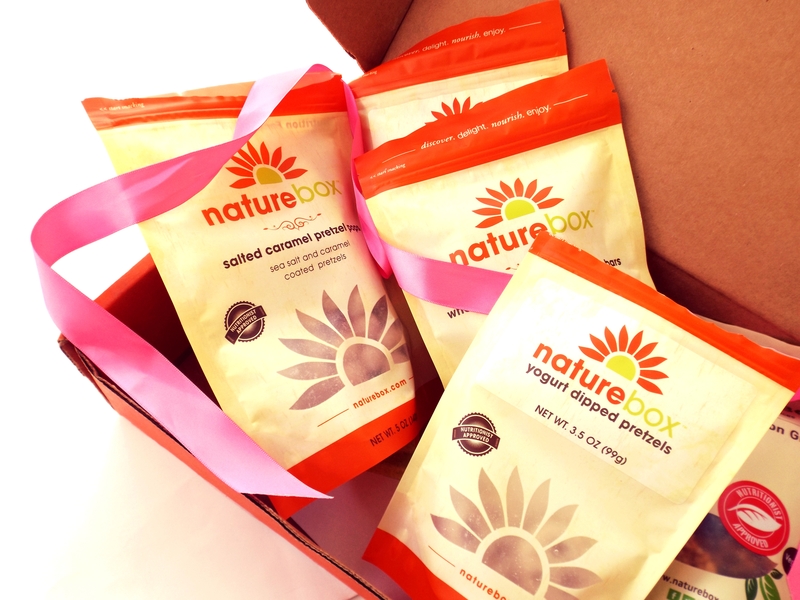 Today has been a bit of noshing on our latest gift find, the NatureBox, filled with very fresh nuts, sweet dried fruit and other healthy snacks shipped to ones door (care package material especially for the uni set!) each month. Even better was learning they work with WhyHunger to fight hunger here in the united states making for a great give twice gift. Recently I purchased one of my own and discovered you can actually choose the snacks that will appear in your Nature box. Mine ended up filled with fancy figs, some of the yummiest whole grain fig newtons (figgy bars), honey roasted nuts, and zingy yogurt covered pretzels. Some pistachios too. Everything was really, really good. Cancelling a subscription through email is pretty painless although gift recipients will likely have to give their credit card number to redeem your gift code sent to them and then have to deal with cancelling later on. At least that's how it worked for me. Send a gift subscription here.